CBC's Marketplace rounds up the consumer and health news you need from the week, including our investigation into the latest method of choice for hackers, reusable packaging alternatives coming to Canada, and the CFIA's hunt for fake olive oil. 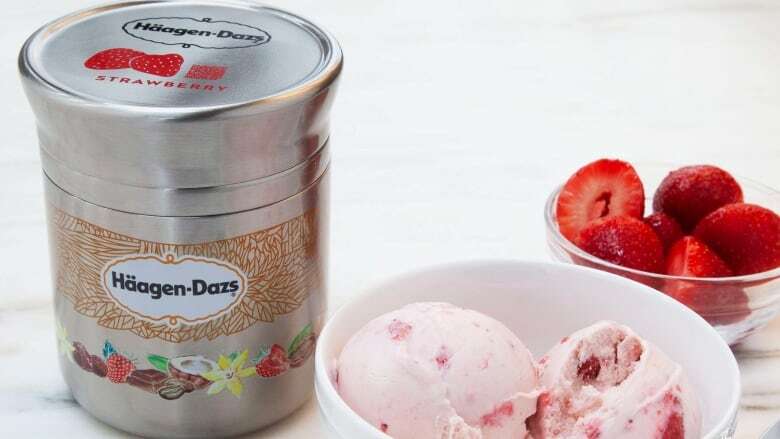 Products ranging from Haagen-Dazs ice cream to shampoo could soon be available in specially designed reusable containers — if you live in the Toronto area. Loop lets you buy products from brands like Procter & Gamble and Nestle, then have the packaging collected to be cleaned, refilled and reused. It's expected to launch with an as-of-yet unannounced major retailer by the end of the year. Our investigation earlier this year revealed why it's often so hard to buy plastic-free. Have you ever downloaded an app that links to your bank account or credit card? It's convenient and could get you discounts, but it may not be as safe as you think. A Halifax woman recently discovered someone in Montreal had spent $483.65 using her McDonald's app. One cyber-security expert says you shouldn't link your bank account to an app unless it offers a multi-factor authentication process. Can you tell the difference? 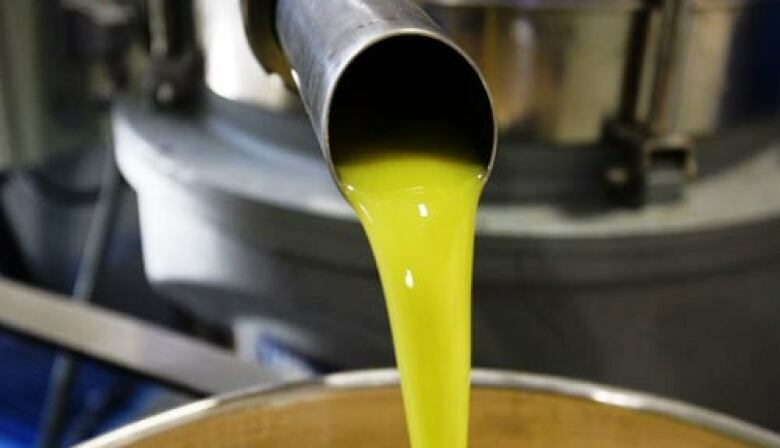 The Canadian Food Inspection Agency is investigating after a bad olive harvest in Europe, which could indicate an increase in olive oil fraud. It's sending agents to sample olive oil across the country to test it and make sure it isn't cut with cheaper oils. If the agency finds any wrongdoing, it can have the product relabelled, force an importer to hold the product, or recall a product from store shelves entirely. Singing, dancing, cats and birds — those are some of things you'll find at a long-term care home in Saskatoon. Sherbrooke Community Centre offers more freedom and choice to its residents to try to provide them with a better quality of life. For example, residents can choose when and what to eat. But this increased independence comes with some increased risks. Our investigation last week looked at the impact of staffing shortages at nursing homes in Ontario. An unlicensed car dealer has been rolling back odometers, according to B.C. 's regulator. Wild Grizzly Transport and Pasquale Zampieri have lost an application to become a wholesaler in the province as a result. Zampieri denies the allegations. These pacifier clips can break while opening and closing, releasing small parts that may pose a choking hazard to young children. These coffee tables may contain lead and may present a risk of lead exposure to children. This acrylic milk bottle has a plastic straw that may crack, creating a laceration hazard. These two lots of Aurora Cannabis products may be incorrectly labelled, causing unexpected effects due to a greater quantity of THC. This sleep bag fails to meet Canadian flammability requirements for children's sleepwear and could pose a risk of burn injuries. Is your name and phone number enough for a hacker to gain access to your telecom account? Our investigation suggests a few pieces of publicly available personal information could be enough to put your accounts at risk. How do I know? We put my cable provider to the test this week to help illustrate the latest type of hack that's plaguing the telecommunications industry. 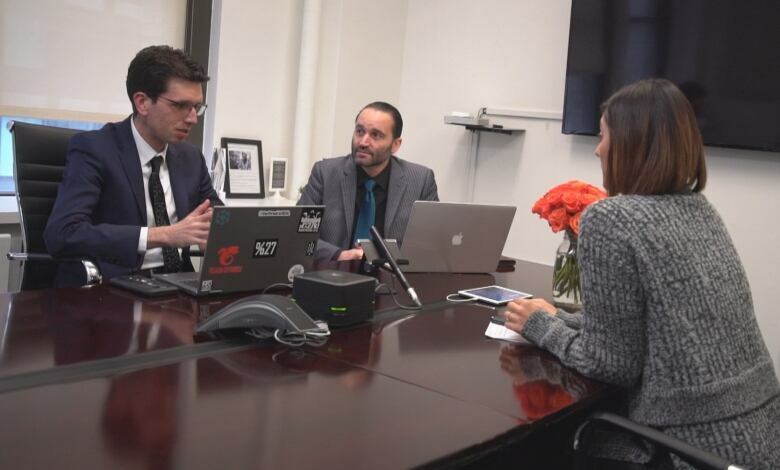 It's called social engineering, and we travel to New York City to hear from ethical hackers to see how it works. Plus, you'll hear from a former cryptocurrency executive who lost tens of thousands of dollars when hackers got into her accounts and stole her cryptocurrency. If you value your privacy, your security, and your money, then you don't want to miss this week's show. 1) Fighting a "superbug"? Are you or a loved one struggling to fight off an infection that requires more and more antibiotics? We want to hear your story. Email marketplace@cbc.ca. 2) What's your experience been like using Airbnb? We want to hear about it. Email jenny.cowley@cbc.ca.